Who Said Rugby Players Don’t Care About Their Appearance? Premier Laser & Skin Clinic has gone rugby crazy since the start of the World Cup last weekend, and in the run up to the tournament we’ve had two England players and one of the Welsh first XV having aesthetic treatments at our clinics in London and Kingston so that they look their best on the pitch. England winger Anthony Watson had a course of Dermapen Micro Skin Needling at Kingston and his team-mate Jonathan Joseph has just started a course of laser hair removal to permanently remove hair on his chest and stomach. 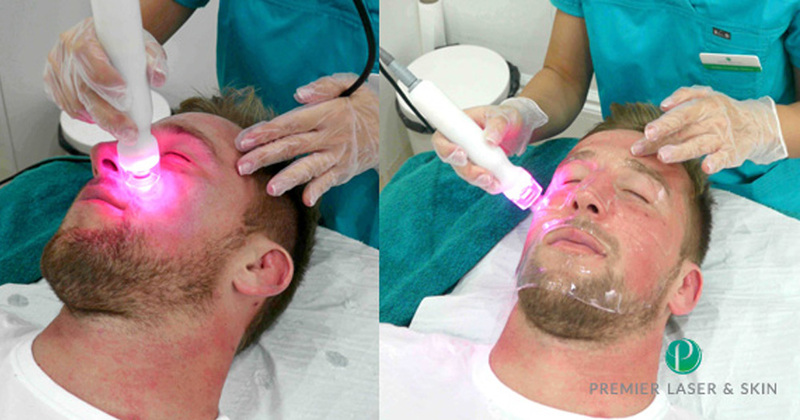 And only the week before Welsh lock Dominic Day went in for a Skinbreeze anti-ageing facial at our Soho branch. It shows just how much the sport has changed from the image of 1970s and 80s tough guys like Bill Beamont, Brian Moore and Merv “The Swerve” Davies with broken noses, cauliflower ears and missing teeth to the well-groomed metrosexual players of today. Wales and England meet next weekend at Twickenham (Sunday 27th September) and as they line up for the national anthems at least three of the players will be looking their very best due to the latest aesthetic treatments at a top London medispa. It’s good to know that modern-day rugby players take care about their appearance as well as their strength and fitness, and our three new clients will certainly be looking amazing the big match between Wales and England at Twickenham this Sunday (27/9/15). Wales’ man mountain Dominic Day (6’6”, 18 stone 4lbs) left our Soho clinic looking glowing after his 50-minute Skinbreeze facial, which he took to repair damage caused by sun-beds in the past. England rugby star Anthony Watson was really impressed by the Dermapen needling facial which he took to reduce scarring caused by rugby injuries and teen-age acne. The Dermapen treatment sends a micro-needle a few millimetres into the skin to cause trauma which the skin then creates collagen and elastin to repair. The treatment is one of the most effective treatments on the market to reduce scarring and works for acne scars, cuts, and even stretch marks on women. The six-foot-two, and 14 ½ stone winger Anthony Watson said it was the most effective treatment he had had so far to reduce the scarring on his face. Anthony said: “I’m sure if the 1970’s players saw me doing this they would be shaking their heads but it’s new era now and everything is changing in the game. I think some of the other players would be up for doing this if they’ve got some scarring they want to get rid of. Anthony was so impressed with the Premier Laser Clinic that he even introduced his England and Bath team mate Jonathan Joseph to come and try us out as well! Last week England centre Jonathan Joseph started a course of laser hair removal treatments to remove all the hair on his chest and stomach. He was told to shave his chest the day before the treatment and that the laser treatment would kill the hairs at the follicle which would prevent the hair re-growing. Jonathan, known to his England team-mates as JJ, stripped down to his waist and the laser treatment was tested on him at three levels of intensity. He opted for the highest level which caused him no discomfort whatsoever. The treatment took 45 mins because he was having two areas on his torso, but only took 30 minutes on Anthony Watson who only had the treatment on his stomach. JJ said: “I need to shave all the time, otherwise it looks awful under clothes otherwise. I’ve got the top half shaved at the moment. Our three clients will certainly be looking their very best for the TV cameras when the national anthems are being sung before the start of Wales vs England game. We wish them all the best for the match at Twickenham and obviously because we have clients from both sides we are totally impartial – so may the best team win!